This workshop explores the different practical aspects of my new book “The Forgiveness Solution” (named by Spirituality & Practice one of the best books of 2010) It draws on cognitive, emotional, spiritual, positive and energetic approaches to forgiveness and healing. Participants will have the opportunity to learn transformational forgiveness imagery techniques, positive affirmations and different levels of the Positive Pressure Point Techniques that facilitate forgiveness. What I remember from the fourth class was bits and pieces of famous phrases, profound statements and forgiveness stories. There was a story about Japanese warriors, who didn’t know that the war ended and were still living in the forests/caves thinking they were protecting their land and ready to fight any moment. Whenever that person was located someone had to do a very special job delivering the news: dress up as a higher rank officer, appear visible and call for the hiding warrior, who then would show up. Then it was important to congratulate the warrior on being a good soldier, talk about hardships and courage of that person and only after some time gently break the news: “The war is over.” Go home, there is peace now. I somehow related to it, as if I was the warrior still fighting something that is long time over. 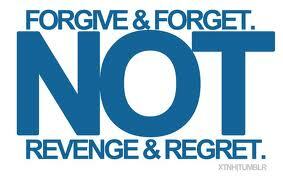 “To forgive is to set a prisoner free and discover that the prisoner was you.” Lewis B. Smedes. We did another meditation and suffering was mentioned as a reason why people hurt each other. I argued that it is not only because of suffering and fear but also weakness (easy way out, no control over one’s emotions, etc.) The instructor said that being weak is suffering too. Homework #4: Every day to record 5 things we are grateful for, 5 beautiful things and 5 things of suffering. As we walked back home, I told my friend that this class is not helping me much. She highly recommended starting a gratitude journal as it helped her years ago. I said that I see how gratitude journal may help me in a long run but I don’t expect any major breakthrough because of it. I thought it could help me be grateful for so many things right now, that I may think that whatever happened was not much at all, and I would see life as more positive and empowering. My friend said that these classes made her soften, to put her armor down. What did they make me? As I heard all quotes and stories in class it felt that I was at school studying yet another subject. My mind followed and agreed that all statements were right, it is my heart that was suspicious. But at the same time there was a glimpse of hope that when the time is right, forgiveness will work on me.